The Middle Kingdom was always hard to pin down. 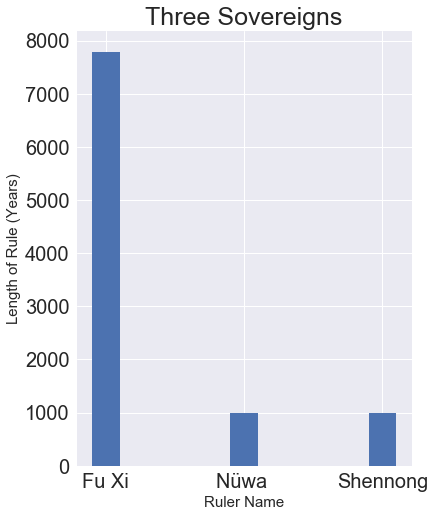 Just for fun, I've done some basic analysis on the lifespan of the rulers of China. For the sake of readability, I'll provide a few different, fun visualizations along with some color commentary to keep you engaged. We'll work through the various dynasties first, and afterwards we'll discuss the totality of what was found. At the end of the post, I'll include an upload of the actual data I used. The majority of my data came from a wonderful set of web pages put together by Dr. David K. Jordan, professor emeritus of Anthropology over at UCSD. Thanks, doc. Here's a link to that. 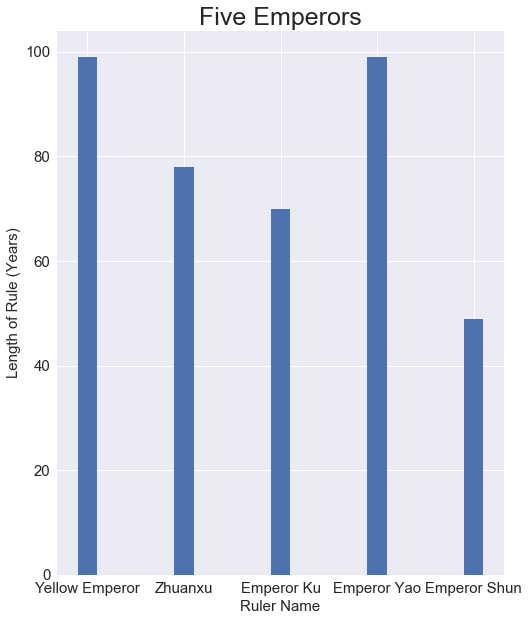 This will likely be the first in a long series of posts examining the dynasties of China from this dataset I've put together, and the dataset itself will be refined as time goes on and I get more information from various sources. Looking at the oldest recorded history (which definitely did not occur in any real way), we get some folks who lived an absurdly long time. The first period of China's history is known as Three Sovereigns and Five Emperors (三皇五帝) and deserves its own post at some point in the future. Complaints about its inclusion in this dataset would be fair, so they will be left out of further analysis once we've gotten through the dynasties. The first thing you'll notice is that for a period known as Three Sovereigns and Five Emperors, there are more than eight total people/beings. This is a not uncommon feature of ancient Chinese history, and one that delights me to encounter. Depending on which data source you consider for this period of Chinese ancient history, you'll get a different number of god kings. Sometimes they're called August Ones, sometimes they're called Emperors, and sometimes they're called Sovereigns. One feature that many of them share is that they ruled for a comically long period of time. We're going to be using the Records of the Grand Historian, or 史記, in our discussion/analysis here. So, to start with, I'll give you a nifty visualization of the Three Sovereigns first, and next we'll look at the Five Emperors. As you can see, they all ruled for a long, long time. Some basic backstory on these three: Fuxi, along with his sister and/or wife Nuwa, are credited with the creation of the human race. They're gods. Depending on the mythological text you're checking out, they're either human-like or half serpent/dragon. Fuxi is credited with the creation of Chinese writing, fishing, hunting, cooking and sometimes animal husbandry. Nuwa fixed the Pillar of Heaven (it was broken beforehand). Also, it may have been the case that there were tons of God-tier humans before a giant flood that only Fuxi and Nuwa survived. Shennong was, arguably, cooler. He not only introduced the Chinese - and, by extension, all of humanity - to farming, he also taught everyone to take drugs. He was the first herbalist. As one can see, he lived for a very long time. He spent a lot of that time going around eating different random plants and fungi, and his superpower was that he almost always didn't die from eating random things he found in trees or on the ground. Sadly, he ate one too many bad things and ended up dying as a result. Thanks for the drugs and medicine, Shennong. We're getting closer to reasonable rule lengths, I'd say. To be fair, I don't actually have a sense of how long an ancient ruler should usually rule for it to be believable - this is partially why I'm undertaking this absurd project in the first place. That being said, it's highly suspect that someone would rule a country for almost a century, but we are in the period of Chinese mythology here. Now for a little background on the Five Emperors. The Yellow Emperor, also known as the Yellow God or by his pinyin Huangdi, was not a human per se. He's famous for many things, but two of his accomplishments stand out above the rest in terms of Chinese history: he created China and he's the ancestor of every single Chinese person as per the surrounding lore. 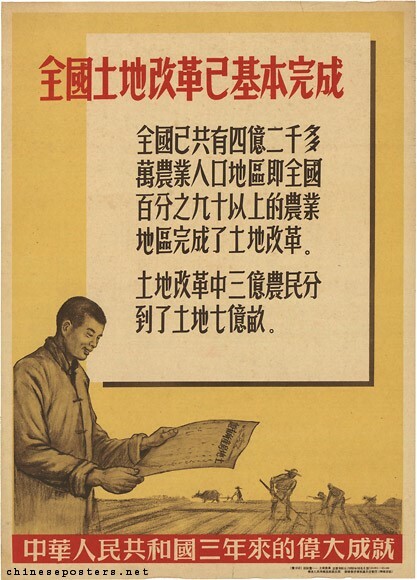 He also invented a lot of things, many of which were largely useful to people living in the Yellow River Valley. Three cheers for the progenitor of the Chinese! Fun fact: the Yellow Emperor died after meeting with a Phoenix and a Qilin. There are very culturally important reasons why these two things showed up when it was time for the Yellow Emperor to cast off the mortal coil, but that's too much for here. Zhuanxu was the grandson of the Yellow Emperor. He took his people and moved them to Shandong, and he might have killed an ancestor of one of his Grandpa's biggest rivals. Some sources say that he didn't actually ever become an emperor, but those sources are probably written by the other ancestors of the Yellow Emperor's rivals. As the ancient phrase goes, "they hate us 'cause they ain't us." Emperor Ku was also related to the Yellow Emperor, which I won't mention from here on out as it would be in front of almost every single person we discussed going forward. He had a good number of wives and ruled for a while. Some people ascribe magical god powers to him, too. There's debate as to whether he existed at all, as is the case with pretty much all of the Emperors we've talked about. Next in the order is Emperor Yao. He apparently lived for close to 120 years, and was known for being a very cool guy. He's considered a sage by many early Chinese writers. Most importantly, he invented Weiqi, known in the west as Go. If you think that Chess is a difficult game, try playing Go on a 19x19 board. died. His wives carried him over to the banks of the Xiang river and cried over his body so much that they turned the waters red, which explains where all that spotted bamboo came from. They then killed themselves in the river. More visualizations will be forthcoming. The next dynasty we will be examining is the Xià (夏). As promised, here's the dataset. Please feel free to leave any comments or questions you have here. I'm going to be discussing cause of death where I can, which will become more believable as time goes on. In the dataset I'll be writing down the cause of death as well as their estimated age at death (which will also, by nature of the data we have, give us age of ascension). This will all be coming in future posts. Hope you've enjoyed this so far!